Well that was a windy one on Thursday, with winds howling even in False Creek at our docks and reaching a speed of 120 km/h at Sandheads. Looks like there will be some strong SE winds this weekend, so take caution on where you choose to fish, but you should be plenty protected in Vancouver Harbour (especially on a SE). Speaking of Vancouver Harbour, there have been multiple reports of decent fishing. Much like Howe Sound, if you put in your time you will get the results. Perhaps the scenery isn’t as nice, but it is great option for those of us who are confined to fishing on the weekend and have to deal with the wind if we like it or not. Try from the Pink Apartment to the Cap Mouth on the flood, in 80-140 feet of water, keep your gear close to the bottom. On the ebb you can try the “flats” or the “freighters” which is in and around the freighters up towards the Bell Buoy, in the mud flats. The depth will be 80-150 depending on how close you get to the QB or if you troll out past the Bell where it starts to drop off. Again, keep your gear close to the bottom and keep an eye on your sounder for bait. Find the bait and you find the fish. In terms of gear, not much has changed. Productive flashers and spoons have been on the bright side with UV green and UV chartreuse blades working the best with glow tape on one side. Phantom series in these finishes have been working well along with Lemon Lime, STS, BC, Salty Dawg, and the Pacific Angler Custom Series in Green and Chartreuse blades. 3.0 and 3.5 spoons in G-Force and Kingfisher models have been working well, so have Skinny G and Coho Killers. Like the flashers, the brighter spoons have been good. If it has some green, chartreuse, and glow on it, you are on the right track. 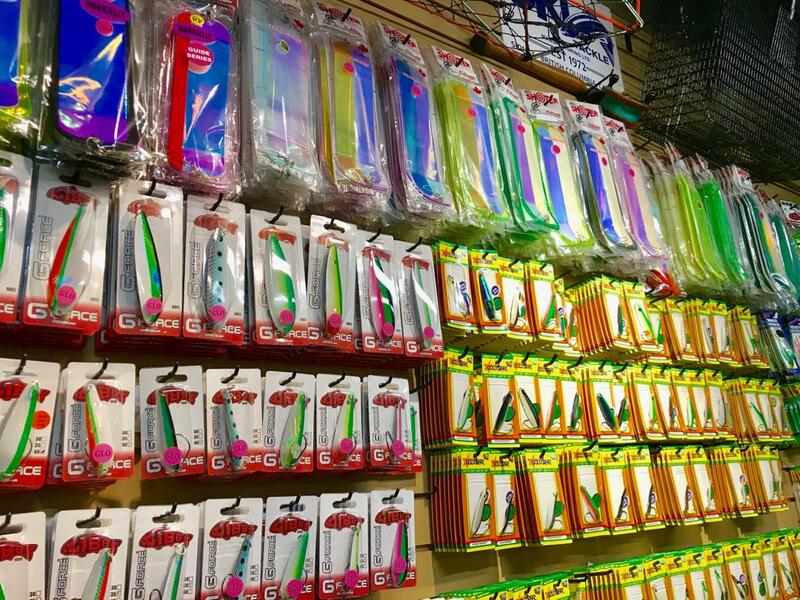 We have a full selection of all the top producing flashers and spoons, in stock all winter long! Crabbing has been pretty slow, so I would take a pass on dropping the crab traps, but prawning has been decent and we have been dropping prawn traps on our 8-hour trips when winds allow. Don’t forget about our Boxing Week Sale coming up, it’s a great time to stock up on your winter and summer chinook favourites or maybe treat yourself to a new setup. If you’re reading this report on the website be sure to sign up for our Friday Fishing Report and get the sale list delivered directly to your inbox on Christmas Eve.